Photo by Kristi and Scot Redman. The theater’s iconic facade hasn’t changed since this cinema was first showing flicks in the 1930s. 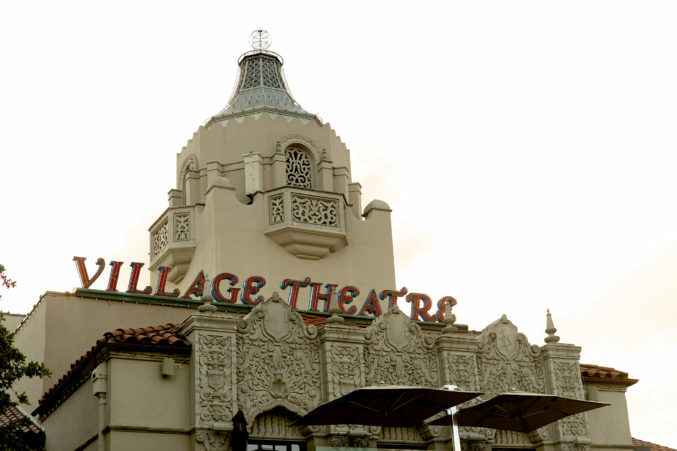 Since reopening in 2010, the Village Theatre has built a reputation as a small but luxurious theater showing first-run films.